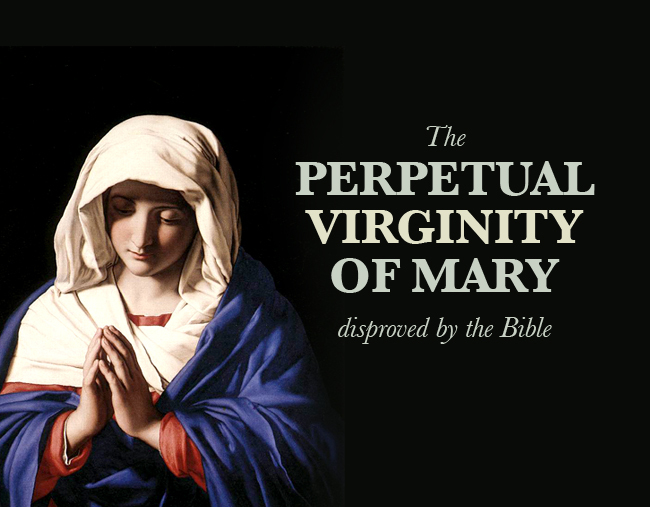 The Catholic Church, amongst others, teach a doctrine called “The Perpetual virginity of Mary”. This is defined in the Catholic Encylopedia as: “The dogma which teaches that the Blessed Mother of Jesus Christ was a virgin before, during, and after the conception and birth of her Divine Son.” So if this were true then Mary could not have no other children other than Jesus Christ. So then – Jesus had brothers and sisters. If we read the word of God then at face value we can see the error in believing in the “Perpectual virginity” of Mary. Some argue that these passages refer to the cousins of Jesus or half siblings through another marriage of Joseph. These are flimsy arguments and can readily be disproved beyond any shadow of a doubt. The “me” then in Psalm 69:8-9 pointed to Jesus Christ. The one who would be alien to his “mothers children”. Its absolutely clear then that his mother, Mary, had children. So after Jesus was born then Joseph did indeed know Mary his wife – proving that the Bible teaches that Mary was not a “perpetual” virgin.